Do you immediately recognize the name Selma Blair? I would guess yes, because she might be C in status but for those with even a passing interest in pop culture, she’s a B in name recognition. Selma is one of those names that isn’t really attached to any one thing, but she’s been working consistently for years, without really a hint of scandal. And David Foster, legendary producer, a household name for his work (and not his four marriages, until recently), we all know him. On face value, in the currency of gossip, David and Selma are about the same, right? That’s why I perked when I read that they may be a thing. 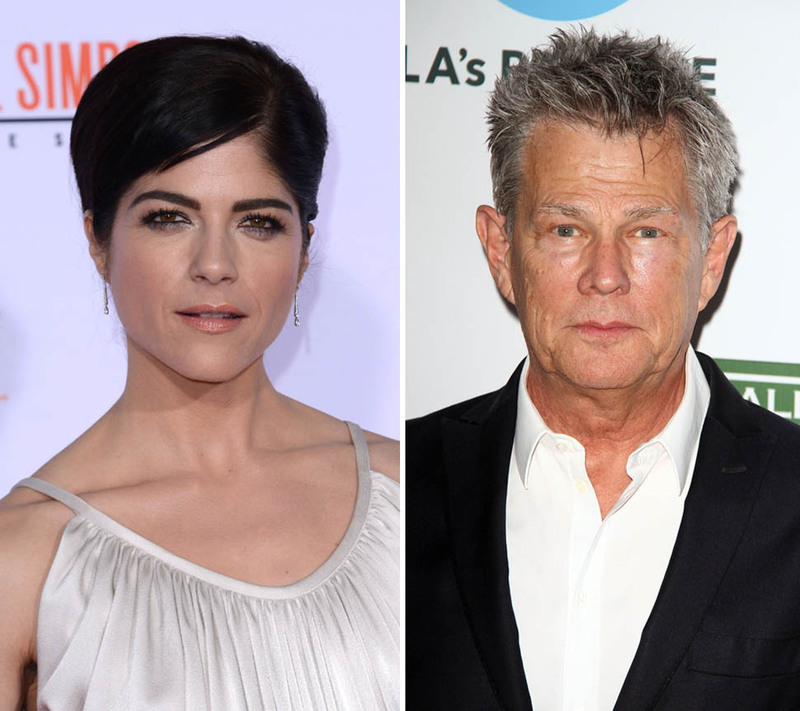 The age difference is there, but that doesn’t interest me one way or another (and um, when did Selma Blair turn 43?!). I like that this has tentacles. Lots of messy LA overlap that takes years to build up. According to US Weekly, Selma and David went to Craig’s for dinner (so clearly, they aren’t worried about people talking… in fact, it’s somewhere you go when you want people to talk). Caitlyn Jenner stopped by to say hello. Caitlyn and David were both married to Linda Thompson, and David is stepdad to two of Caitlyn’s sons, Brody and Brandon. Oh and Caitlyn was obviously married to Kanye West’s wife’s mother, who Selma is portraying in The People v. O.J. Simpson: American Crime Story. David’s soon-to-be official ex Yolanda (Gigi and Bella’s mom) is still tight with Kanye West’s wife’s mother. See? Tentacles. And two of David’s daughters, Erin and Sarah, overlap with Selma too. They hang with Kate Hudson, Jennifer Meyer Maguire, Jessica Alba, Jaime King, Courteney Cox, Rachel Zoe and yes, the Jenners. They also occasionally spend time with Reese, who Selma obviously knows from Cruel Intentions. If they continue to date, we’ll see if Selma is incorporated into that world and how that plays out for her social calendar– no one in that group is shy about showing off their exclusive circle. Selma is certainly getting some top tier invites (like the recent Dolce & Gabbana pajama party) and attends quite a few fashion parties (she’s often at the LA launches), but being with David… I see the appeal of getting to the next level. The opportunity for press has to be a positive thing for him, too (he can finally get away from his ex-wife’s reality show). David and his ex loved to entertain in their mansion, inviting over musicians and Real Housewives. Selma could certainly come up with a better guest list. There are moves to be made, if they want to make them publicly. It’s gossip, but it’s mature gossip. Once in a while, it’s just nice to see a relationship play out that doesn’t involve people born in the 90s, nightclubs or subtweeting and deleting. Maybe it’s an underappreciated genre of gossip that goes to bed at a reasonable hour and doesn’t use torrents. But that doesn’t mean it’s not fun.